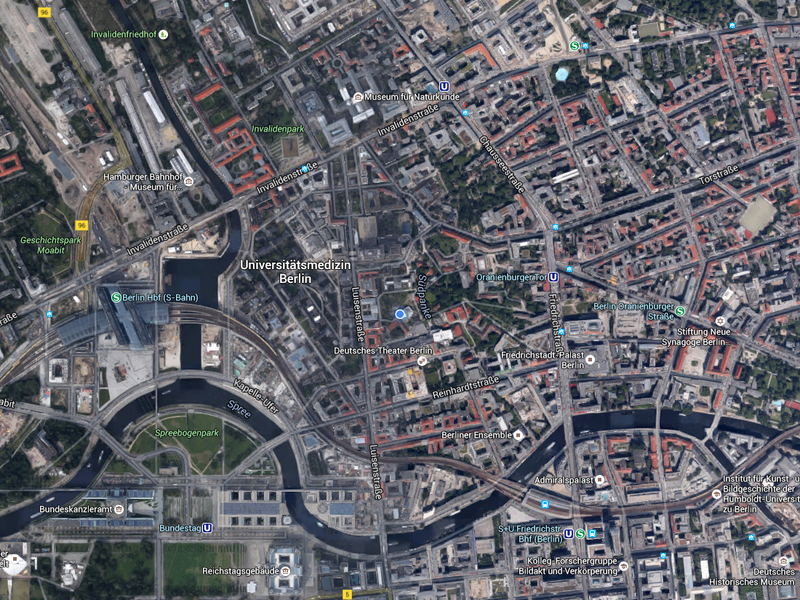 In the heart of Berlin, the Nyakatura Lab (blue dot in the center of the above map) is located at the Humboldt University's "Campus Nord" between Friedrichstraße and Luisenstraße. After arriving by train at the Berlin main station (Berlin Hbf on map) you can conveniently reach the lab by foot. It is in close proximity to the Museum für Naturkunde, the main campus of the Humboldt University, and several stations of Berlin's public transport system (S-Bahn, U-Bahn, bus, and tram). Find us on the first floor, rooms 107-109.